What if you stop paying your credit cards? At a time when unemployment remains stubbornly high and job prospects seem dismally low, the danger of missing a credit card payment or two is all too possible for many borrowers. Some may be tempted to try to outrun the debt by dodging collection calls and throwing away creditor letters. But sooner or later, your debt will find you. "Just walking away from a debt won't solve the problem," says Barry Paperno, consumer affairs manager for myFICO.com. 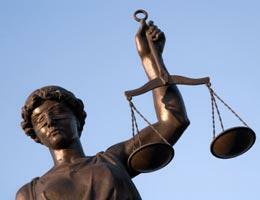 Your delinquent debt can follow you on your credit report and possibly all the way to court if you refuse to pay. Bankrate outlines the timeline for debt collection efforts and reveals what to expect and what you can do at each point. Is that debt call legit? How to pay $80,000 card bill? Best to save or pay debt? Trigger: You just missed your payment due date and are 30 days behind the start of the billing cycle. What to expect: Lenders likely won't sound any alarms, but instead will use so-called soft tactics to get your payment in. They will call, email and send letters, but all contact will be friendly and helpful, says Bruce McClary, media director of ClearPoint Credit Counseling Solutions. McClary has also worked as a debt collector. The creditor may also contact the credit reporting bureaus to report your account as delinquent. Your options: If you know you’ll miss a payment, contact the lender first, says John Ulzheimer, president of consumer education at SmartCredit.com. The creditor will be more likely to work with you if you reach out first. If you don't and the creditor contacts you, don't avoid the call. Explain your financial dilemma to your creditor so you both can work out a payment plan. Trigger: It's been a month since your due date and two months since the billing cycle started. What to expect: Your credit card account likely will go into collections status and will be turned over to a department that specializes in obtaining delinquent debt, says McClary. 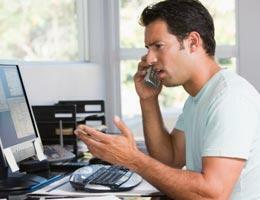 The friendly phone calls, letters or emails will turn a bit more aggressive and less positive. The creditor will warn you that your account could go into serious delinquency if you don't resolve the situation. Also, the creditor may contact the reporting bureaus to report your account as delinquent if it hasn't done so already. Your options: You and your creditor can still work out a payment plan or come up with a hardship plan if your financial situation merits one, says Laura Creamer, a financial education specialist at the nonprofit credit counseling service CredAbility. You likely will have to pay a penalty fee. 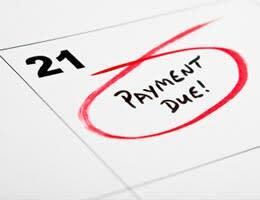 Trigger: Two months have passed since your due date and three months since the billing cycle started. What to expect: More aggressive phone calls, emails and letters from your creditor. There's a good chance your creditor will shut down the credit card account and you won't realize it until you are denied in a store. That should prompt you to call the company and work out a solution. The creditor is most likely reporting the delinquency to the credit bureaus. At the same time, late fees and interest fees add to the total amount you owe. Your options: There is a chance you can reactivate the account by setting up a payment plan with the creditor, says McClary. If you're facing a financial hardship, your creditor may establish a payment plan with reduced payments. Once you complete the plan, the account may be revived. 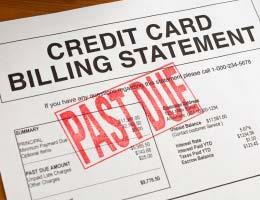 Trigger: The creditor has been unable to get payment and writes off the debt as uncollectible. What to expect: The creditor may sell or contract the account with a third-party debt collector. The creditor will notify the credit reporting agencies that your account is a charge-off and has gone into third-party collections. The third-party debt collector will call and send emails and letters. They must abide by the Fair Debt Collections Practices Act, which outlines when third-party collectors can call and how often. Your options: Get verification of the debt from the third-party collector and confirm the collector's identity with the original creditor. Set up a payment plan or offer a settlement. 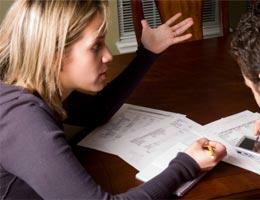 Try to negotiate a settlement with the original creditor, which may offer more flexibility. The creditor or debt collector probably won't settle for less than half the balance. "But shoot for the moon on your first offer," says McClary, "because you never know." Get the offer in writing with a clause that states the collector or creditor won't sue you if you make the payments. Ensure that your credit report reflects any settlement as settled in full, which indicates your obligation to the creditor is fulfilled. Trigger: The third-party debt collector is unable to contact you -- the consumer -- and sues. "You can ignore a lot of people, but you can't ignore the guy who knocks on the door with a judgment," says Ulzheimer. 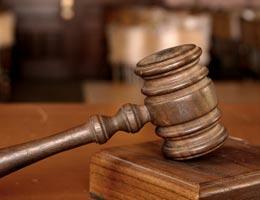 What to expect: You will receive a summons to appear in court regarding your debt. If the debt collector or creditor receives a judgment, then it may garnish your wages or seize assets such as bank accounts to satisfy the debt. Your options: If you receive a summons, show up for your court hearing, says Creamer. There, you can dispute the debt. Otherwise, it's an automatic win for the collector, she says. The judge may also serve as a mediator and create some kind of repayment plan before choosing wage garnishment or the seizure of assets. The federal Fair Debt Collections Practice Act doesn't cover debt collection calls from the original creditor. Know your state laws. Each state has different laws regarding wage garnishment, seizure of assets and statute of limitations for debt collection. Any payment will restart the statute of limitations. "Some collectors will try to trick you as the statute is approaching. They will call and ask for just a small payment, like $10, to renew the statute," says Andrew Housser, a board member of the American Fair Credit Council, a group formerly known as The Association of Settlement Companies. All information regarding the delinquent account will live on your credit report for seven years from the date you first missed a payment, says Rod Griffin, director of public education at Experian. 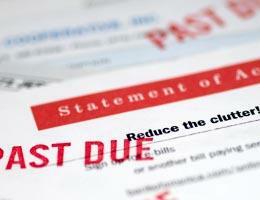 Third-party debt collectors sometimes sell off debt to another debt collector if they haven't had any success. Make sure the debt shows up as the same account on your credit report. Sometimes it may look like another delinquent account, and you'll want to dispute any duplicates.